The Undergraduate Council held its first meeting of the fall 2018 semester in the newly renovated Smith Campus Center. 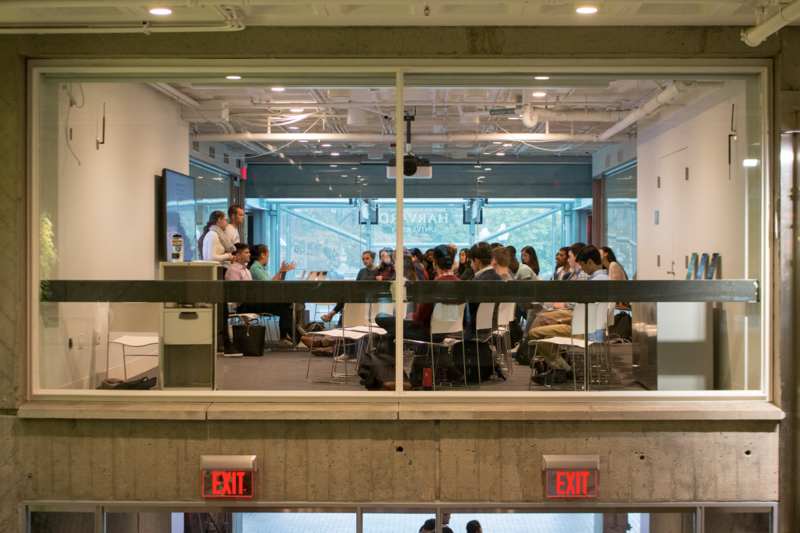 The UC is partnering with the Harvard Graduate Council to form a new mentorship program. The Undergraduate Council and the Harvard Graduate Council plan to create a mentorship program this fall that will pair undergraduate and graduate students on the basis of common interests and career goals. 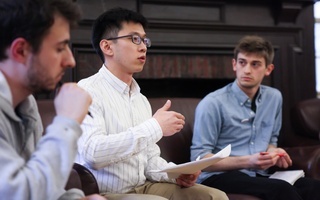 Catherine L. Zhang ’19 and Max Vani, who lead the UC and HGC, respectively, said the initiative marks the start of further collaboration between the bodies. 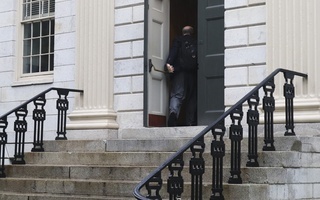 HGC is comprised of representatives from each of Harvard’s 12 graduate schools, including the Graduate School of Arts and Sciences. 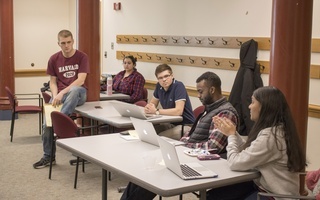 Though GSAS students also elect a separate student council, the Graduate Student Council, HGC handles matters that affect all graduates students, including those at the Law School and Medical School. Zhang and Kevin Tian, Vani’s predecessor, first discussed the possibility of a partnership between the UC and HGC in early 2018. After Vani took office in April, he and UC Vice President Nicholas D. Boucher ’19 met to formulate the outlines of a mentorship program, based on input they received from students. Vani said the diversity of the graduate student community at Harvard means mentors can offer both professional and academic guidance to undergraduates based on their experience. Before they are paired, prospective mentors and mentees will fill out a survey indicating the kind of advice they would like to receive and their experience. 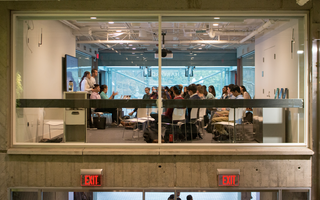 Undergraduates already have a myriad of opportunities to engage with mentors. The College assigns each student an academic advisor — oftentimes a graduate student or proctor — who approves class schedules and can offer career advice to the student. Freshman undergraduates can also seek counsel from upperclassmen Peer Advising Fellows. Still, Zhang said there remains a need for an informal, graduate-undergraduate mentorship program.